Are you looking for a Toyota in Cincinnati? With endless choices, it can seem overwhelming to find the right dealership to purchase your next vehicle from. First of all, you’ll want one that is centrally located and easy to access. Next, and arguably most important, you’ll want a dealer that is reputable and highly respected. Last, you’ll want to make sure that the dealership has a wide variety to choose from. With many Toyota dealerships in Cincinnati that meet those requirements, how will you know which one to choose? 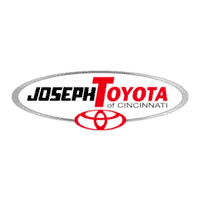 Joseph Toyota is a reputable dealership located right in the heart of Cincinnati. You can easily find us located at 9101 Colerain Avenue. When you arrive, we’ll be happy to help you with whatever questions or concerns you have. If you’re someone who has been working on purchasing a car for weeks now, we can assist you with the next steps. If you’re just dipping your toes into the entire process, we can help you with that too. Our knowledgeable and experienced staff members will be happy to help you wherever you are in the process. If you need expert advice, it’s time to see what we can do for you at Joseph Toyota. In addition to providing world-class service, we also have a wide inventory of new and used vehicles that will be sure to impress even our toughest critics. When you find the vehicle that you’ve been looking for, we’re happy to take you on a test drive or provide you with additional information regarding the vehicle. Another very positive aspect of our dealership is the fact that we provide “no hassle” pricing. By this, we mean that whatever price you are told is the bottom line of what you’ll pay. We don’t stick in any hidden fees or last-minute expenses. We pride ourselves on being a dealership that makes the car-buying experience easy. 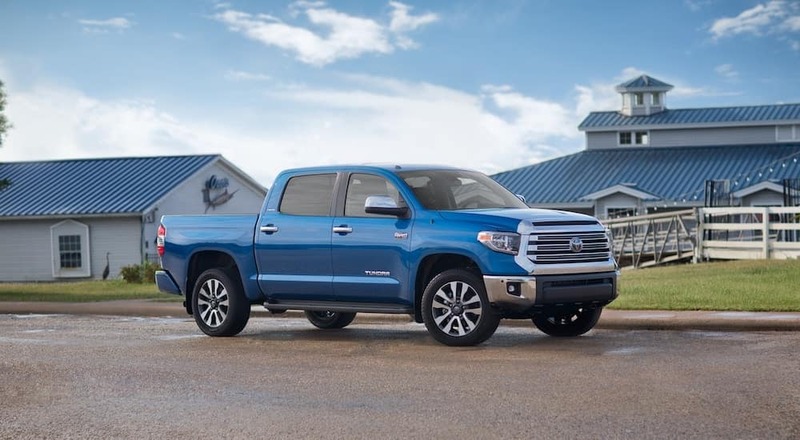 If you’re looking for a Toyota in Cincinnati, it’s time you let Joseph Toyota help you find the vehicle of your dreams. When there are countless manufacturers to choose from, why would you select a Toyota? Toyota’s in Cincinnati are becoming increasingly popular due to a few major factors. Customers love the reliability and the accountability that driving a Toyota vehicle provides. Toyota vehicles are made with quality parts and pieces that are built to last, so you’ll ultimately spend more time on the road and less time in the service shop. At the end of the day, you’re going to want to purchase a vehicle that will provide you with accountability for years to come. The longevity that you get with a Toyota vehicle is unmatched by any other manufacturer. Whether you’re looking for a compact vehicle such as the Toyota Corolla, or a minivan such as the Toyota Sienna, you’ll find whatever you need and more in a Toyota. When you’re looking to purchase a new vehicle, think Toyota. Best Toyota Vehicle to Drive? Obviously, this is a matter of opinion and what works for one person may not be suitable for another. However, our all-time favorite Toyota vehicle is the Toyota Prius. The 2018 Prius has a sporty and modern exterior that will change your opinion of this popular hybrid. It’s got the same classic look, with a more modern feel to it. If you’re looking to save money on gasoline each week, this is an excellent option for you. The 2018 Prius will get 54 MPG in the city and 50 MPG on the highway, which will ultimately cost you less in the long run. However, the MSRP is relatively high at $33,203, which is higher than most vehicles of its size. However, for the price of a hybrid, you’re going to end up paying a little bit more each month. But, the money that you’ll save in the long run is unmatched. We also love the fact that the 2018 Toyota Prius comes with a built-in navigation system and lane departure warning. The navigation system will ensure that you get to your destination safely and as quick as possible, without messing with your iPhone navigation app. Furthermore, the lane departure warning will keep you safe while traveling down any roadway. It can sense the lines that surround your lane and will provide an indicator when you are beginning to drift to one side or the other. This technology has the potential to save lives and is a must-have when purchasing a new vehicle in 2018. The Toyota Prius is at the top of our list for many reasons, we love the fact that you can save money on gasoline and put it toward the more important things in life. Maybe a new vehicle isn’t an option right now due to your financial situation? No problem at all. Joseph Toyota offers a wide variety of used Toyotas in Cincinnati that will impress you. You can easily search through our used vehicle inventory online or at the dealership. If you choose to view our inventory in person, our friendly staff members will be able to assist you with any questions or concerns that you have. If you decide to shop online, you can easily chat with a representative 24/7 to get your questions answered. While shopping our used inventory, you can view the CarFax report for any vehicle you’d like to. This CarFax report will provide you with insight into your cars’ history. This is critically important when purchasing a used vehicle because it has had a past with previous owners. It’s vital to understand the potential issues that may arise due to the car’s history. At the end of the day, we work to be entirely transparent with our customers. That’s why providing our CarFax reports are so important to us. Additionally, we work to be transparent with our customers and provide them with the bottom line price up front. We don’t sneak in any extra fees or hidden costs at the last minute. This is just another way that you can take control over the car-buying process again. Your Best Choice For A Toyota in Cincinnat! When purchasing a vehicle, it’s important to be privy to the information ahead of time. That is something that we focus on at Joseph Toyota. We work with our customers to provide them with an informed experience where they are in complete control. We do not want to pressure anyone into purchasing a vehicle that they don’t truly love. We don’t want to coerce or force anyone into purchasing a vehicle that will not be a good fit for their lifestyle or desires. We work with our customers to ensure that they find exactly what they’re looking for. At the end of the day, our happiness and success comes from you finding the right vehicle for you. Although there are plenty of Toyota dealerships in the local area, you won’t find many with our core values. Ultimately, you’re going to want to shop with a dealership that focuses on customer service and customer satisfaction. If you’re searching for a Toyota in Cincinnati, it’s time to see what Joseph Toyota is all about. We provide you with the experience, quality, and inventory that will exceed all of your expectations!